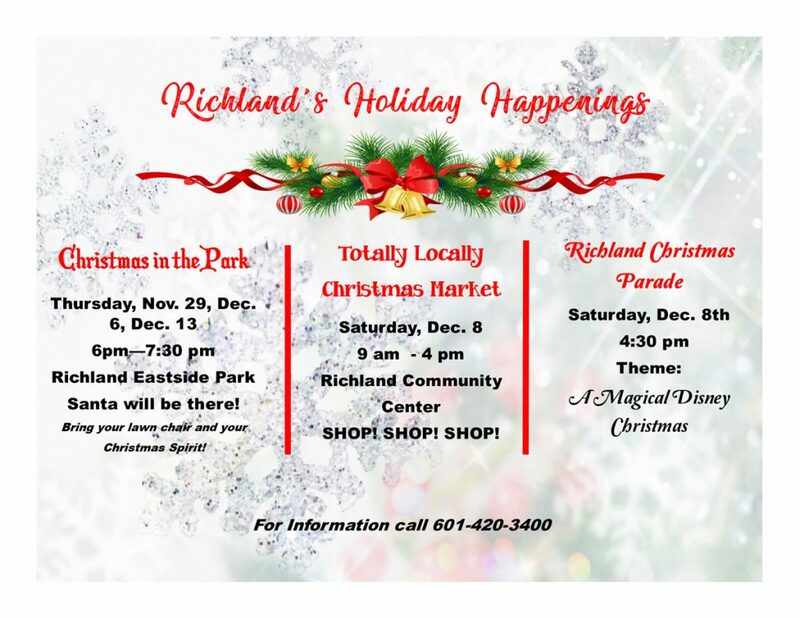 It is with regret that we have to cancel the 2018 City of Richland Christmas parade due to inclement weather. After consulting with Rankin County EOC, high winds and rain are predicted all day. Thank you for all the work you did to participate. We wish you a very safe Merry Christmas and a Happy New Year! Thursday, Nov. 29, Dec 6, Dec. 13. Bring your lawn chair and your Christmas Spirit! Welcome to the the City of Richland’s website.